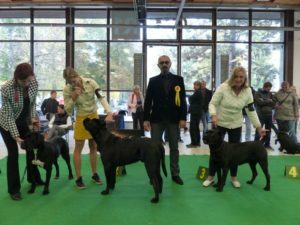 On Sunday, 7.10.2018, an International dog show was held in České Budějovice. 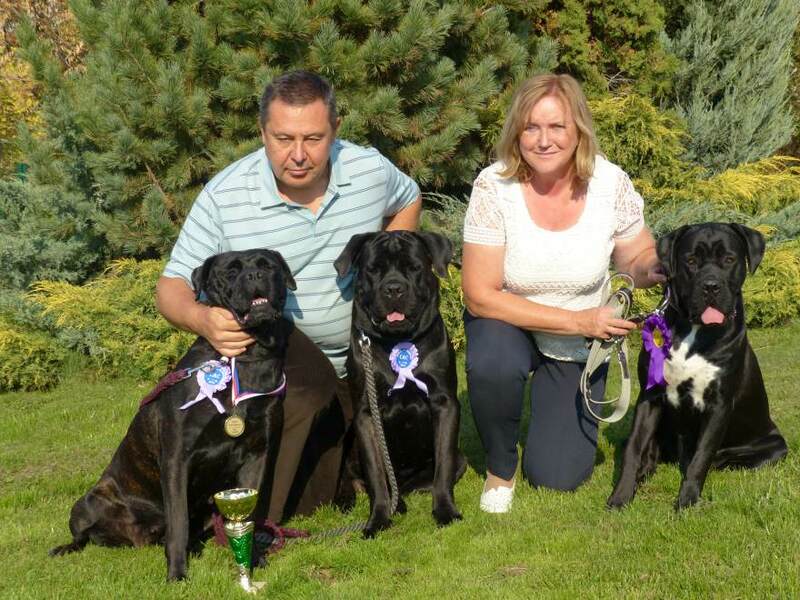 Dogs were judged by Željko Lozic from Serbia. Aristocrat Korec Corso entered the intermediate class, where he was awarded Excellent 1 and won the CAC and prestigious title CACIB. Aristocrat achieved three titles CACIB at 19 months of his age. 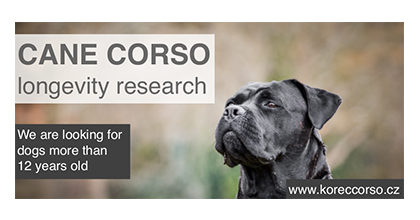 Borgie Korec Corso was presented in the Junior class, where she was rated Excellent 1 and achieved the title CAJC. By winning the third CAJC title, she fulfilled the conditions for the title of Czech junior champion at the age of only 12 months. Aristocrat and Borgie were excellently presented by handler Bára Bláhová.